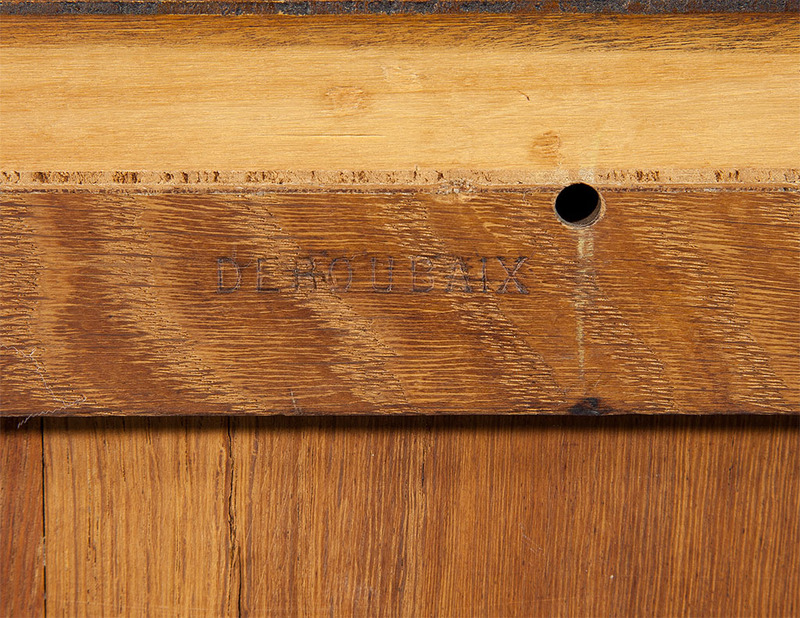 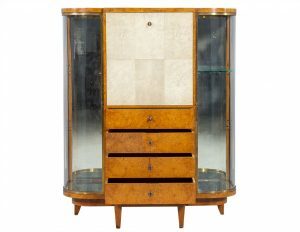 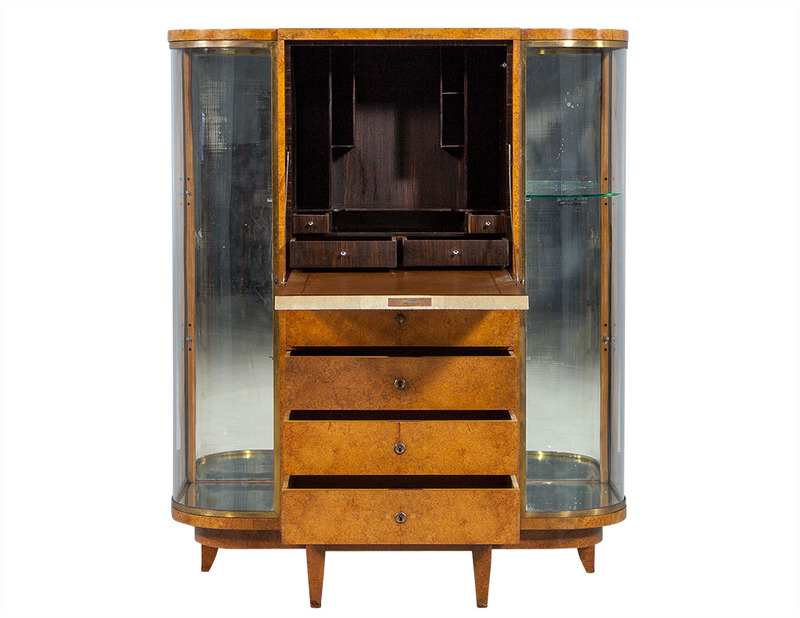 This Jules Deroubaix display cabinet secretaire is timeless, functional, and effortlessly chic. 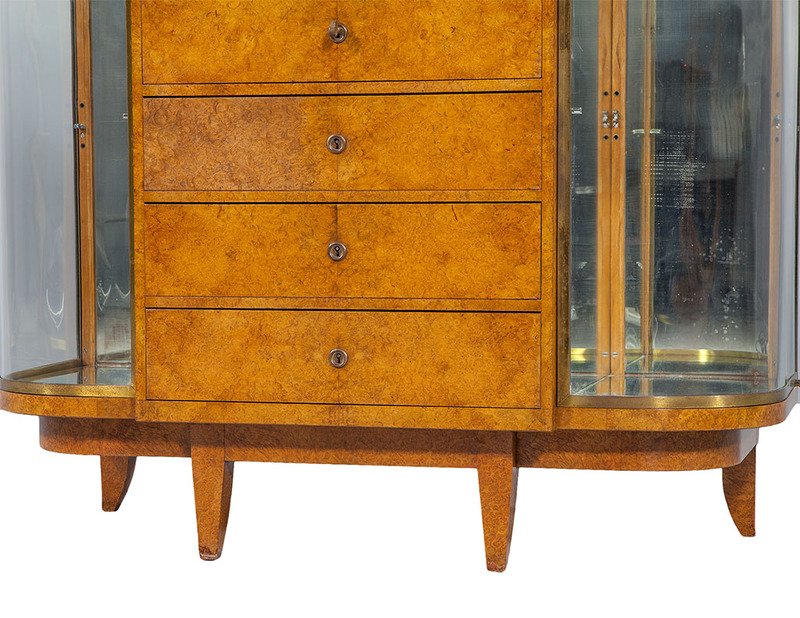 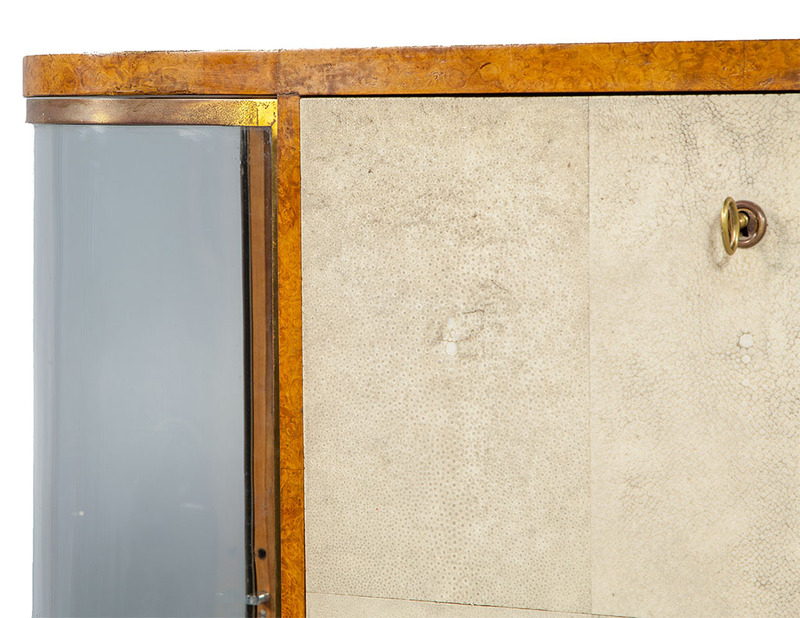 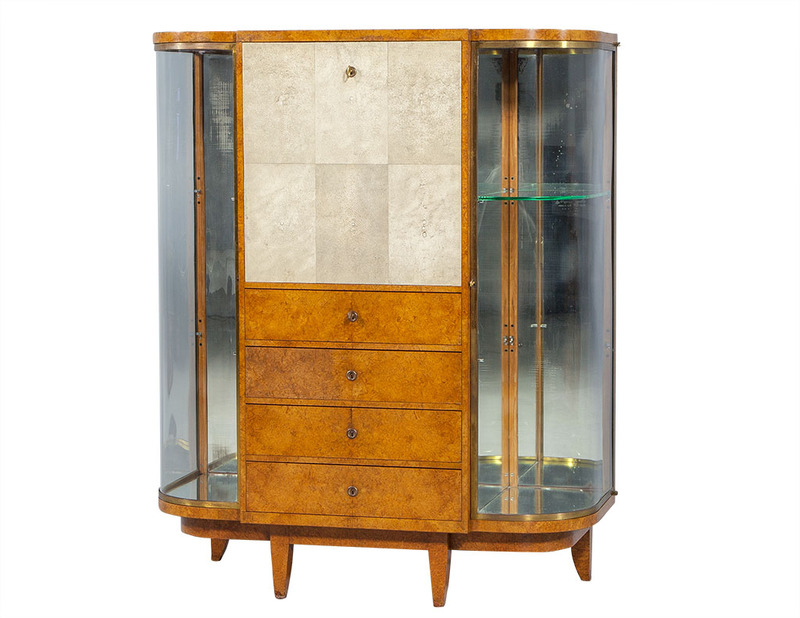 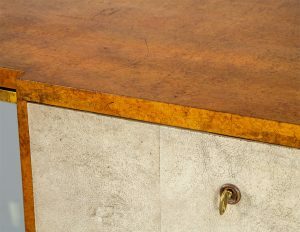 Made of burl sandalwood, it showcases a drop door paneled with gorgeous shagreen to add texture and French style. 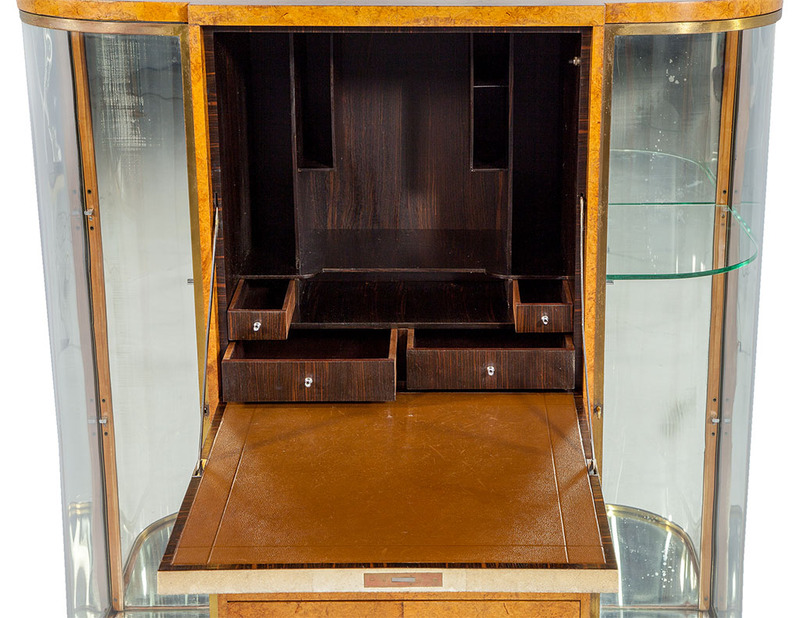 When opened, it reveals an ebony interior with small drawers for trinkets, stationary and more. 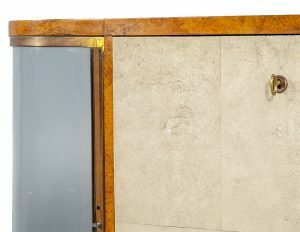 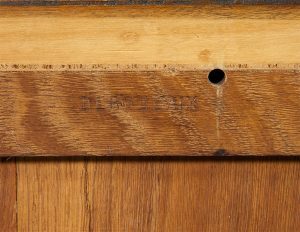 Below the drop door are four lower drawers which all lock if necessary, and to the side are the two mirrored display compartments cased in domed glass and trimmed with brass. 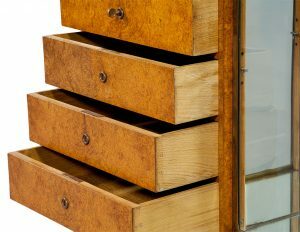 The side display cabinets have glass shelving, perfect for picture frames and other decor. 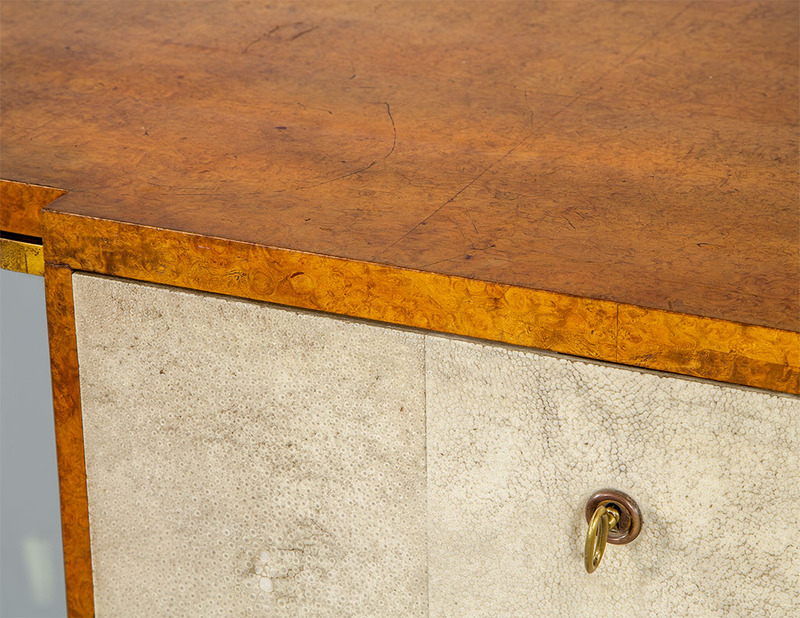 This piece sits atop tapered legs, and is a great addition to any space.